Annecke, D.P. 1961. 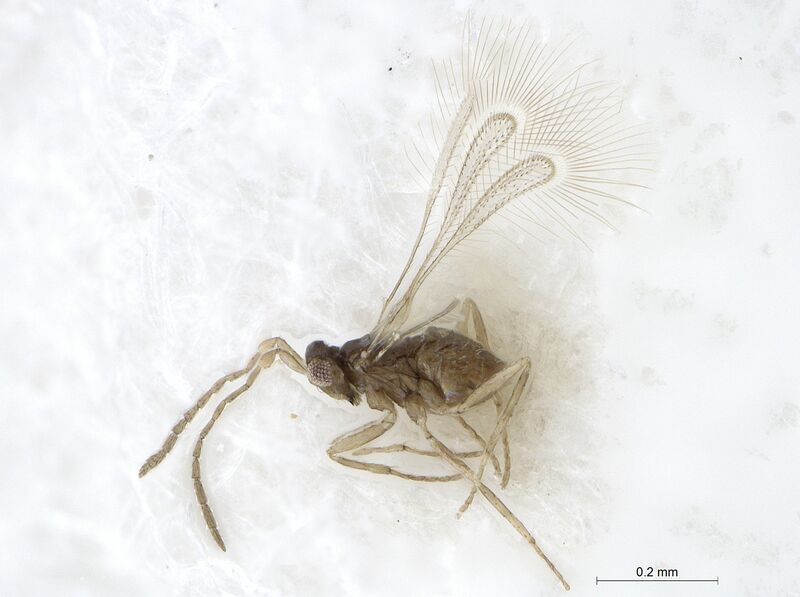 Two new genera of Myridae [sic] from South Africa (Chalcidoidea, Hymenoptera). Kudu. 4:68-77. Berezovskiy VV, Triapitsyn SV. 2001. Review of the Mymaridae (Hymenoptera, Chalcidoidea) of Primorskiy krai: genus Acmopolynema Ogloblin. Far Eastern Entomologist 105: 2-3. Enock, F. 1909. New genera of British Mymaridae (Haliday). Transactions of the Entomological Society of London. 1909: 449-459, pls XII-XIV. Fidalgo P. 1989. Revision de las especies neotropicales del genero Acmopolynema Ogl. (Hymenoptera: Mymaridae). Revista de la Sociedad Entomológica Argentina 46(1-4): 3-67. Hayat M, Anis SB. 1999. The Indian species of Acmopolynema with notes on Acanthomymar (Hymenoptera: Chalcidoidea: Mymaridae). Oriental Insects 33: 297-298. Huber JT. 1986. Systematics, biology, and hosts of the Mymaridae and Mymarommatidae (Insecta: Hymenoptera): 1758–1984. Entomography 4: 185–243. Huber JT. 1992. The subgenera, species groups and synonyms of Anaphes (Hymenoptera: Mymaridae) with a review of the described Nearctic species of the fuscipennis group of Anaphes s.s. and the described species of Anaphes (Yungaburra). Proceedings of the Entomological Society of Ontario 123: 23–110. Lin NQ, Huber JT, La Salle J. 2007. The Australian genera of Mymaridae (Hymenoptera: Chalcidoidea). Zootaxa 1596: 1–111. (Hymenoptera: Chalcidoidea) in Argentina. Zootaxa 2129: 1–28. Noyes, J.S. & Valentine, E.W. 1989. Mymaridae (Insecta: Hymenoptera) - introduction and review of genera. Fauna of New Zealand. 17: 1-95. Ogloblin AA. 1946. 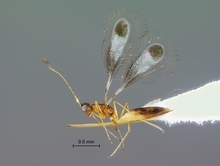 Descriptions of new genera and species of Mymaridae (Hymenoptera: Chalcidoidea). Iowa State College Journal of Science. 20(3):277-295. Schauff ME. 1981. A review of Nearctic species of Acmopolynema Ogloblin (Hymenoptera: Mymaridae). Proceedings of the Entomological Society of Washington 83: 444-460. Triaptsyn SV, Berezovskiy VV. 2007. Review of the Oriental and Australian species of Acmopolynema with taxonomic notes on Palaeoneura and Xenopolynema stat. rev. 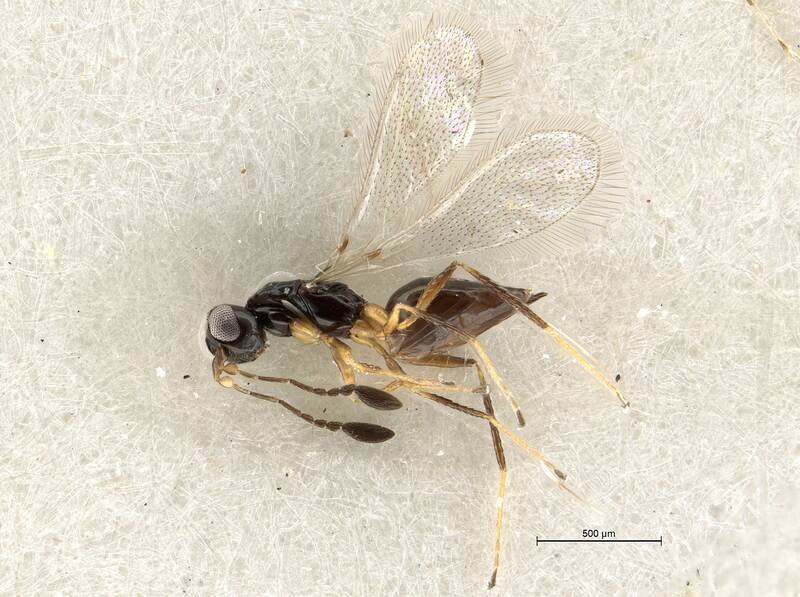 and description of a new genus (Hymenoptera: Mymaridae). Zootaxa 1455: 63. Triaptsyn SV, Berezovskiy VV, Viggiani G. 2013. Taxonomic notes on three little-known species of Cleruchus Enock (Hymenoptera: Mymaridae) described by S. Novicky from Europe. North-Western Journal of Zoology 9(1): 6–15. Viggiani, G. 1974. Notizie sui mimaridi terricoli, con proposte sinonimiche per il genere Clerchus Enock. Bollettino della Società Entomologica Italiana. 106(3/4): 86-88. Xu M, Lin NQ. 2002. A taxonomic study of the genus Acmopolynema Ogloblin (Hymenoptera: Mymaridae) from China. Entomotaxonomia 24(2): 142. Photographs © John Huber & Jennifer Read (Canadian National Collection of Insects) or © Simon van Noort (Iziko Museums of South Africa).